Humidifier for Textiles, Cold Rooms, Greenhouses, Mushroom Cultivation Curing, Laboratories, R&D Rooms, Testing Rooms, Horticulture, Hospitals, Pest Control, Odour Control etc. Humidification Capacity 1.50 to 2 Ltrs./Hr. Dimensions 370 X 370 X 1100 Mm. Being a reckoned name in our specified business, we are engaged in offering Centrifugal Humidifier, to be used in laboratories, R & D rooms, testing rooms and other places. We carry out our manufacturing procedures as per the industry laid parameters and thereby, assure our products for flawless performance. Regarded specifically for noise-free operations, the offered range has gained wide market acceptance and is easy to maintain. Dimensions 370 X 370 X 480 Mm. Humidification Capacity 4 - 6 Ltrs./hr. Particle Size 4 - 8 Microns. 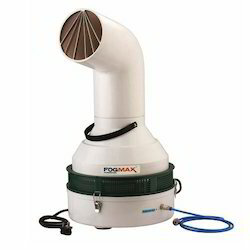 With the aid of our experienced professionals, we are engaged in manufacturing Cool Mist Humidifier. Our offered range has gained huge appreciation in the market as characterized by continuous working. Used for humidification purposes in laboratories and R & D rooms, these products ensure easy maintenance and longer working life. Packing Dimensions 15 x 15 x 18 inches. x 1 carton. 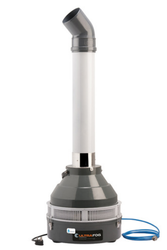 Humidification Capacity 6 - 8 Litres Per Hour. Our customers can source from us Room Humidifier, manufactured in accordance with the industry laid parameters. These products are designed and developed by our experienced engineers, following stringent quality protocols. As being manufactured following fruitful working norms, these products are capable of offering constant performance and offer output in two ways, vertical and horizontal. 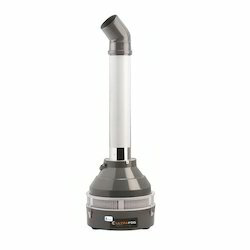 Customers can source Room Humidifier in a hassle-free way. Humidification Capacity 6 - 8 Ltrs./hr. Being a reckoned name in our specified business, we are engaged in offering Industrial Humidifiers, to be used in laboratories, R & D rooms, testing rooms and other places. We carry out our manufacturing procedures as per the industry laid parameters and thereby, assure our products for flawless performance. Regarded specifically for noise-free operations, the offered range has gained wide market acceptance and is easy to maintain. Particle Size 2 - 4 Microns. Water Connection 0.5 Inch (Less Then 5 Kg/cm2). Area Coverage 1500 - 2500 Cubic ft. Being a reckoned name in our specified business, we are engaged in offering Ultrafog Humidification System, to be used in laboratories, R & D rooms, testing rooms and other places. We carry out our manufacturing procedures as per the industry laid parameters and thereby, assure our products for flawless performance. Regarded specifically for noise-free operations, the offered range has gained wide market acceptance and is easy to maintain. 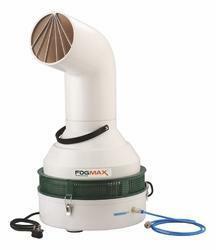 Humidification Capacity 2 - 4 Liter Per Hour. Area Coverage 150 - 250 sq. feet. Under our product gamut, we have assorted Room Cool Mist Humidifier, to be used for small rooms or areas. Acclaimed widely for droplet-free humidification, these humidifiers work on centrifugal force and can offer constant operations. 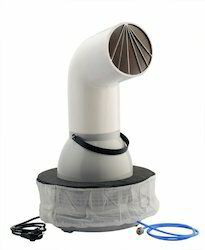 These products offer horizontal output while facilitating humidification of a larger area and vertical output, when used without a fogging head. Looking for Industrial Humidifier ?